College, that special time in a persons’ life when they leave home, move into a dorm, attend classes taught inspiring teachers, and expand their minds through higher learning. To those of you that were lucky to attend, or are in the midst of attending college, we’re sure it was the time of your life. It probably wouldn’t be a stretch to say that many college students become the person they will be in the real world throughout their time on campus. All that being said, we all know that college is the time for, well, some interesting experiences as well. Whether it’s a caffeine fueled all-nighter to cram for a test, a huge party at a frat house that you went to when midterms were done, or some interesting signs that you post in the dorm room to get along with your peers, college can be a great time. 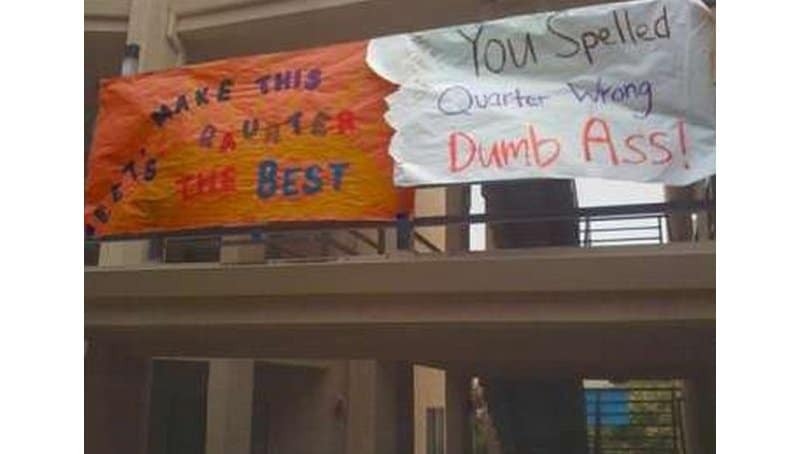 We had a pretty fun college experience as well, but we’ve got nothing on the people that made these dorm room signs. Not only are they creative, but they attempt to tackle things all college students probably identify with. 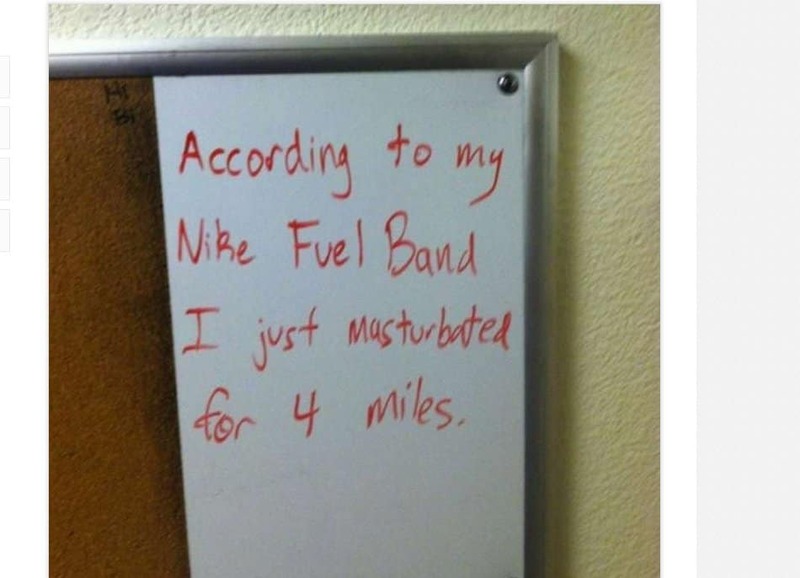 So, without further ado, here are the top 20 funniest college dorm room signs ever. 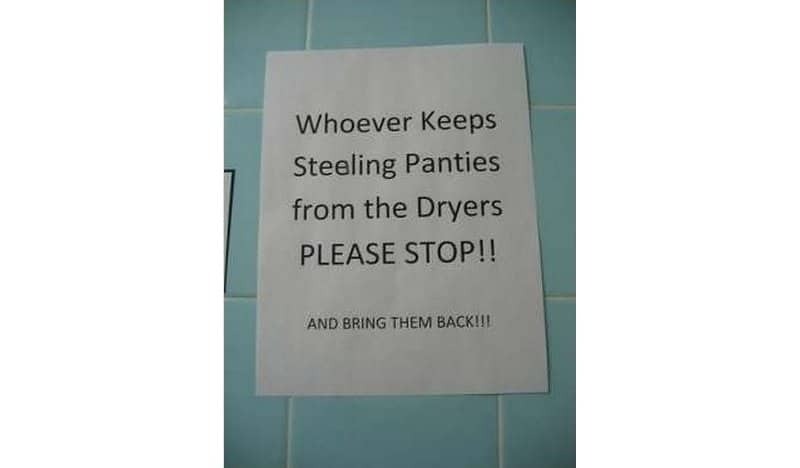 This poor girl just wants to be free of an underwear thief. Ahh, we all probably have a great laundry room story…like how people used to empty your wet clothes on the table so they could use the washing machine. 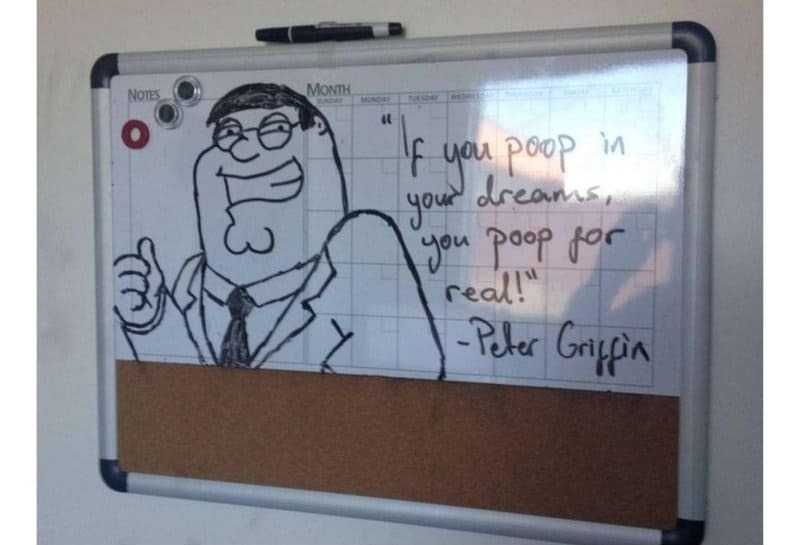 Who Doesn’t Love Family Guy! Watching Family Guy with roommates was an essential part of our college experience. We’re glad we weren’t the only ones. College is a time to experiment and get to know your peers, and that’s probably exactly what this guy has in mind. 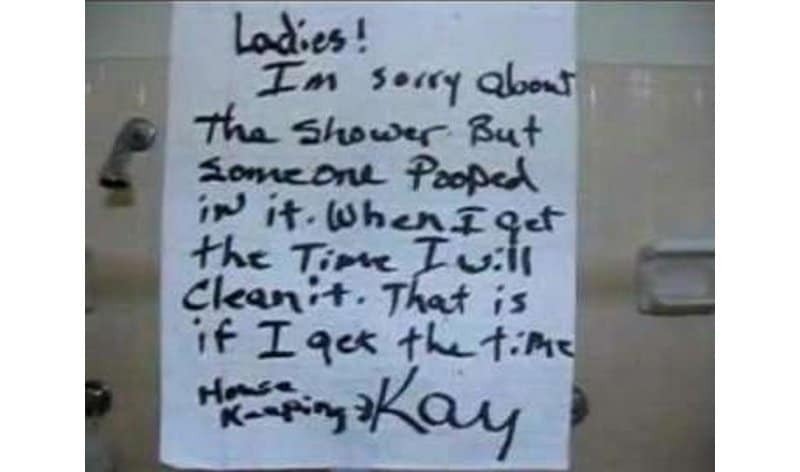 This is pretty gross, but at least the housekeeping staff told the dorm residents before they got in the shower! 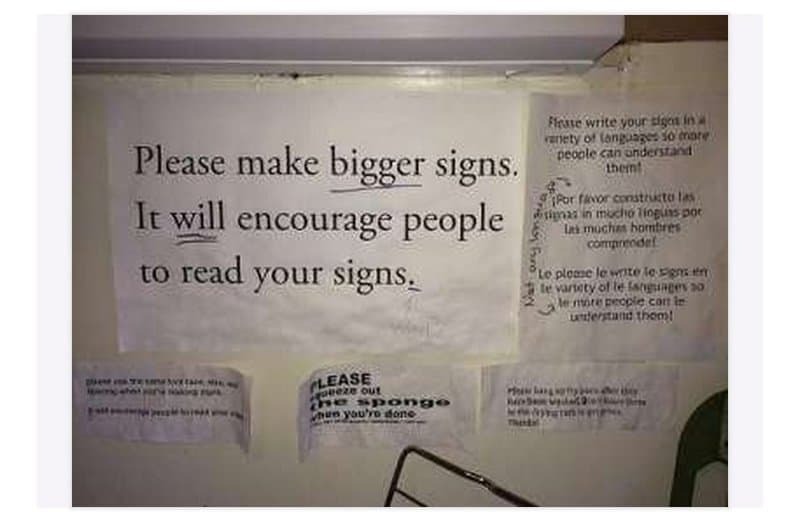 This is pretty awesome, we hope who ever wrote the first sign’s parents aren’t spending too much on their education. 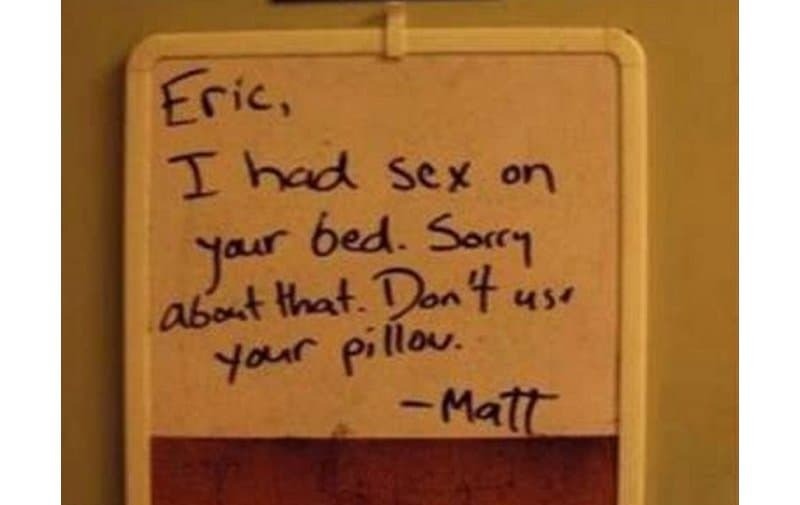 College is where you make lifelong friendships with people you were surrounded with for four long years, and hopefully they are as honest as Eric’s roommate Matt. 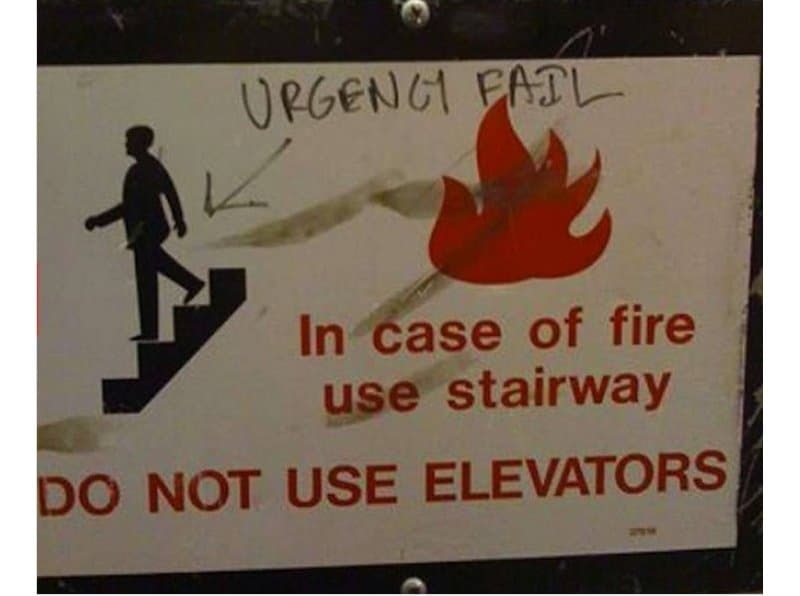 You can always count on college students to poke fun at poorly drawn official signs. 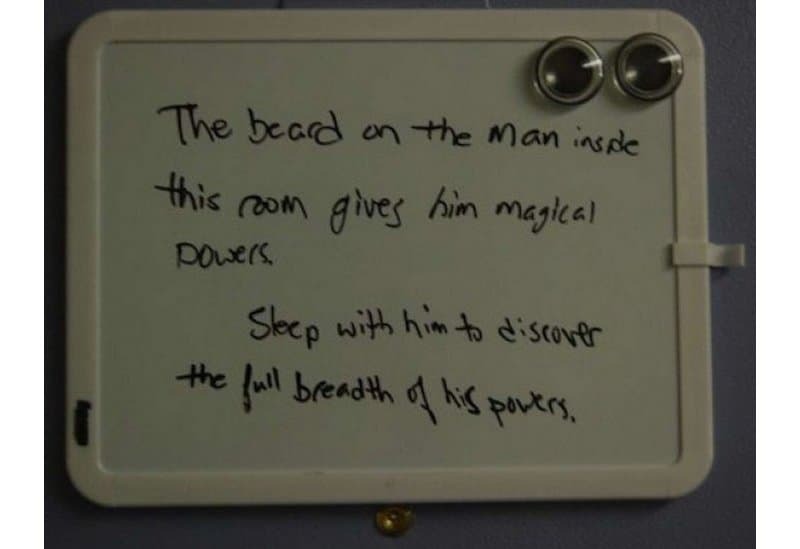 We didn’t experience this one either, but we bet this dorm room was a pretty fun place. 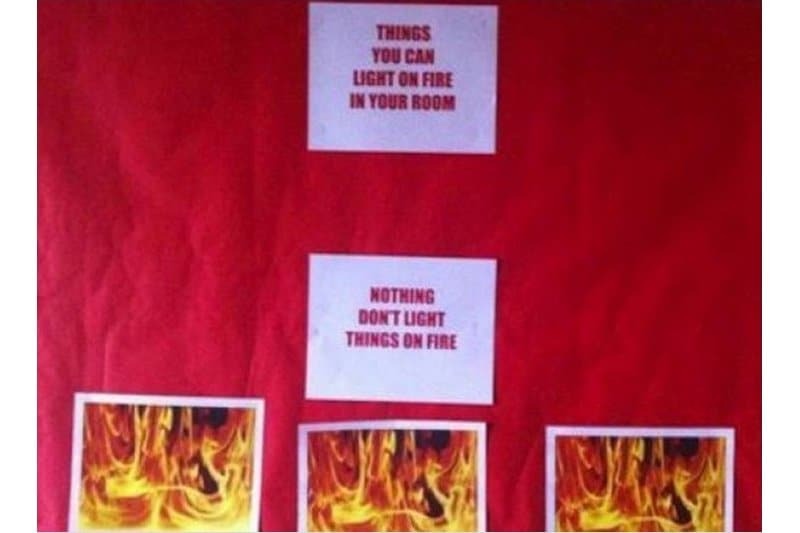 Okay so we’re pretty sure the dorm residential administrator made this sign, but we had to include it. 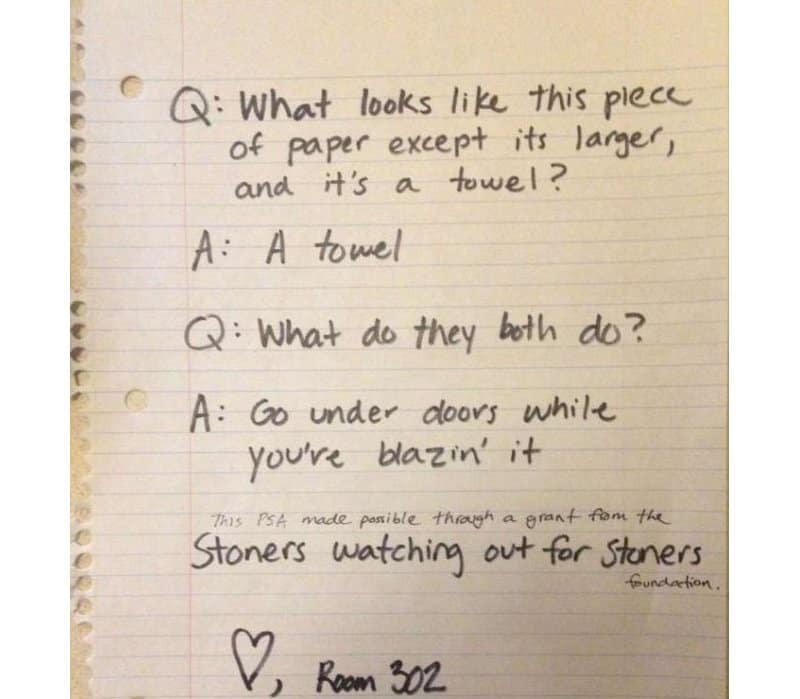 We’re not sure why this sign is posted in a dorm, but we’re pretty sure the story is hilarious. 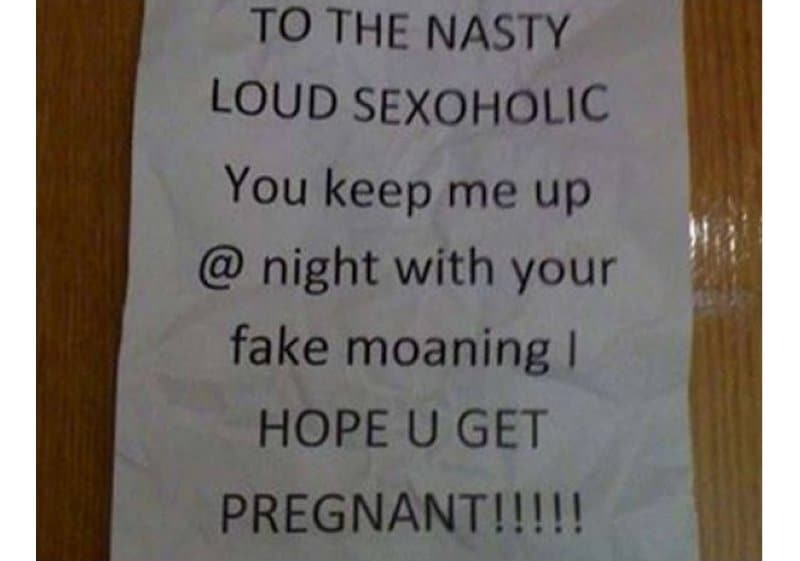 We appreciate the person who made this sign’s need for sleep, but there’s no reason to get nasty. 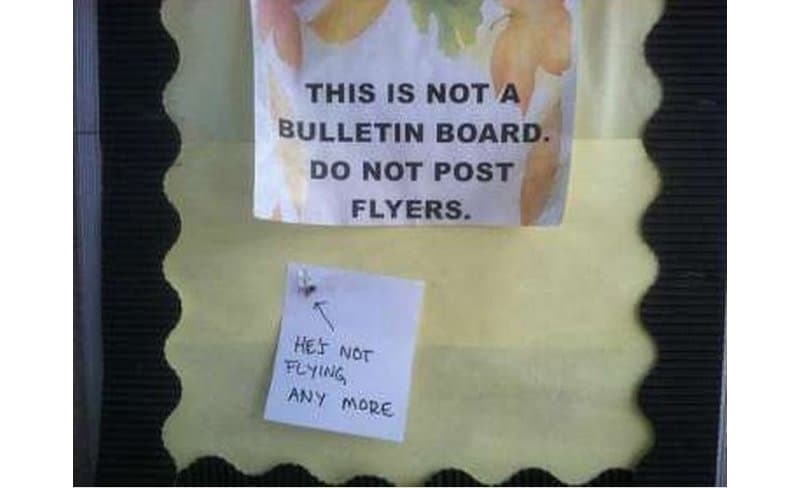 We’re not sure what the deal is with this one, but we appreciate the, uhh, creativity. 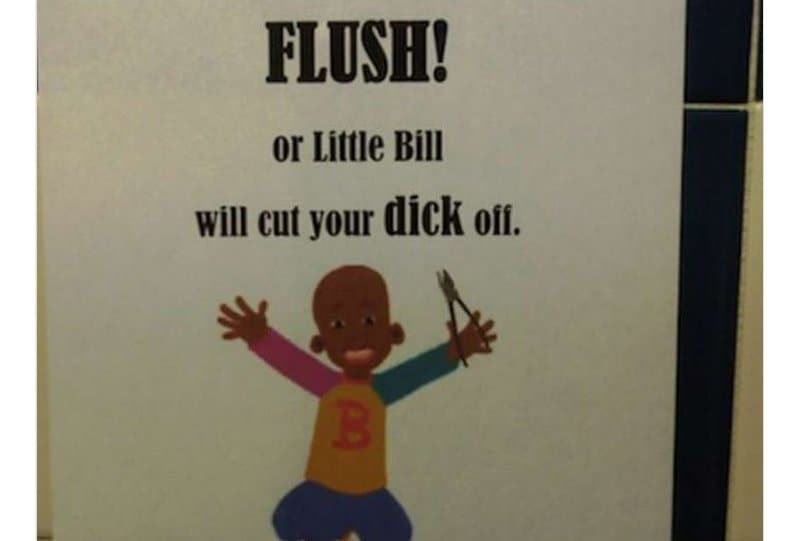 Why was it necessary to post this? We have a pretty good idea, and we’re also pretty sure the perpetrator flushed from this day forward. Well at least they are helping out the freshmen with some friendly advice. 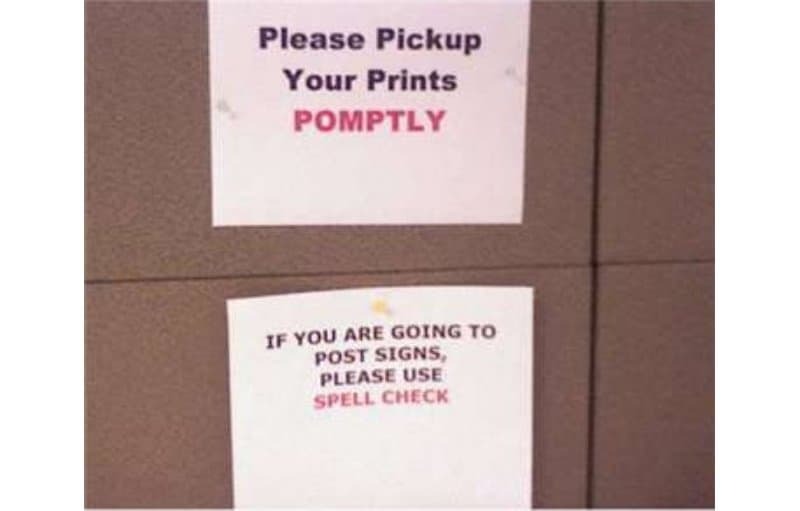 Well at least they have been paying attention in English class. 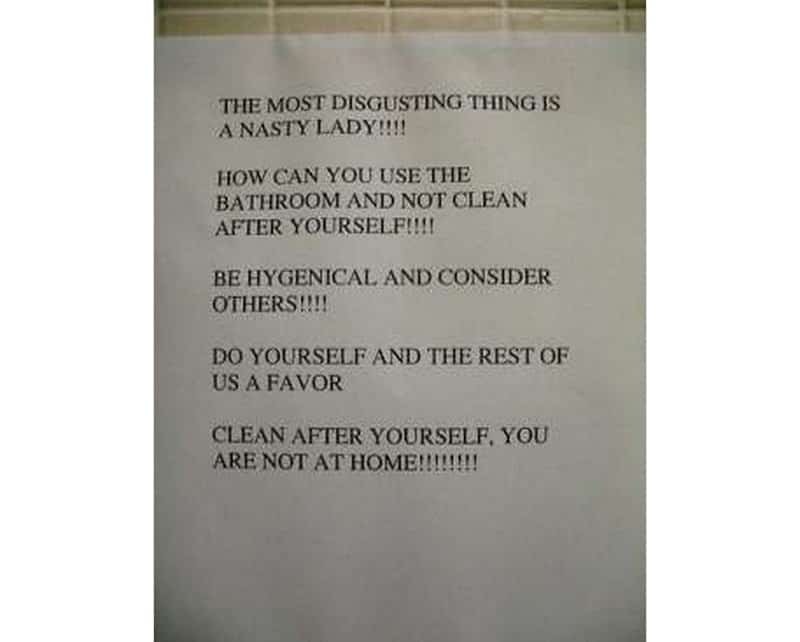 Ever Wonder What A “Nasty Lady” Is? Us too. 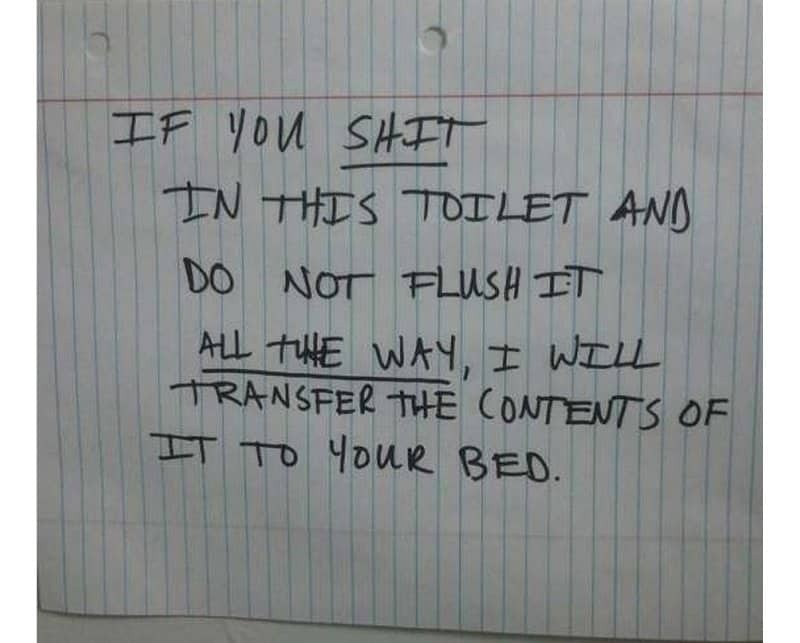 We would have loved to see the state of this ladies dorm before this sign was posted. 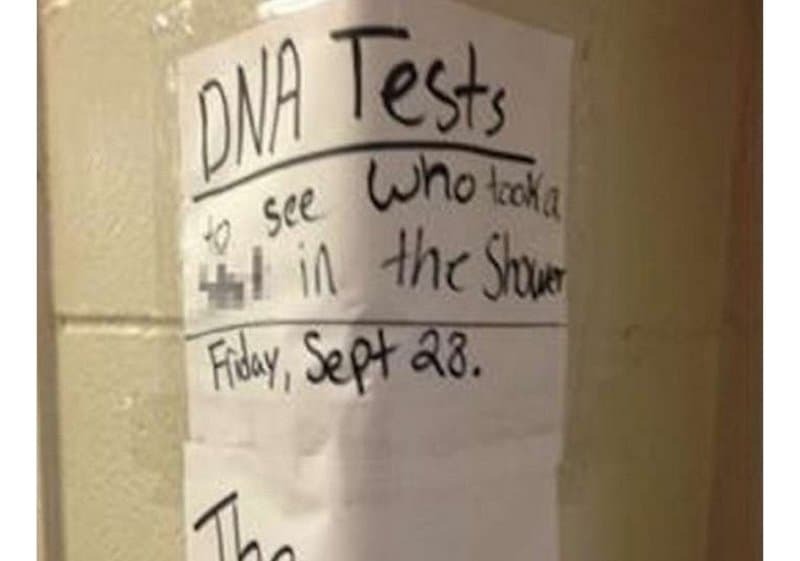 And the number one funniest dorm room poster involves a fictitious DNA test to figure out who defecated in the shower. 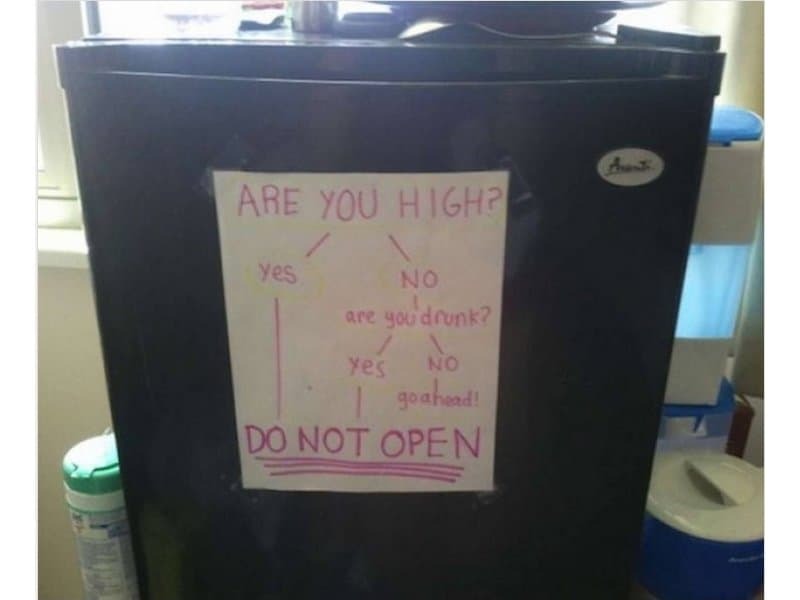 Must have been posted by a biology major..